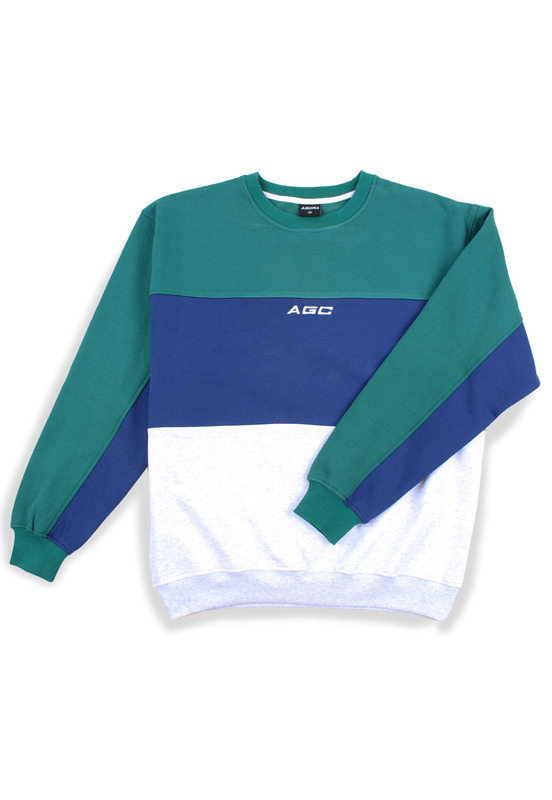 Agora Victory Sweatshirt in blue, green and ash grey. 3 Panel construction from a super soft cotton fleece. 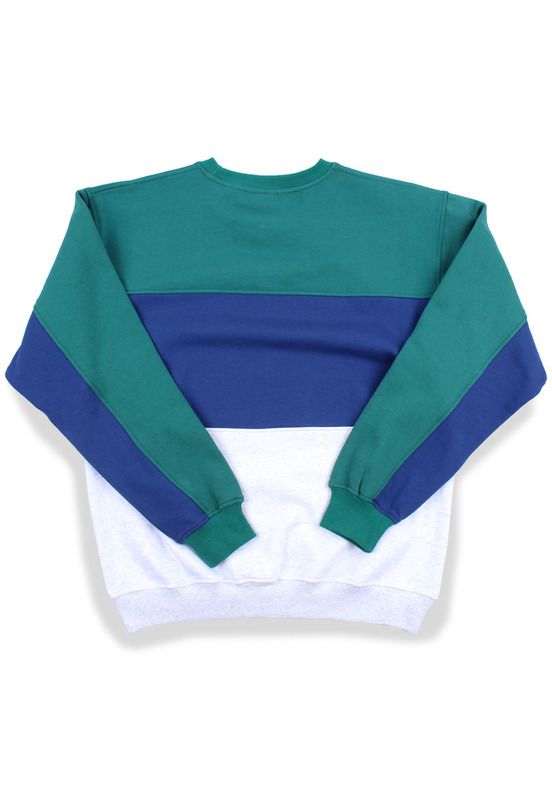 Generously sized, regular fit sweatshirt.